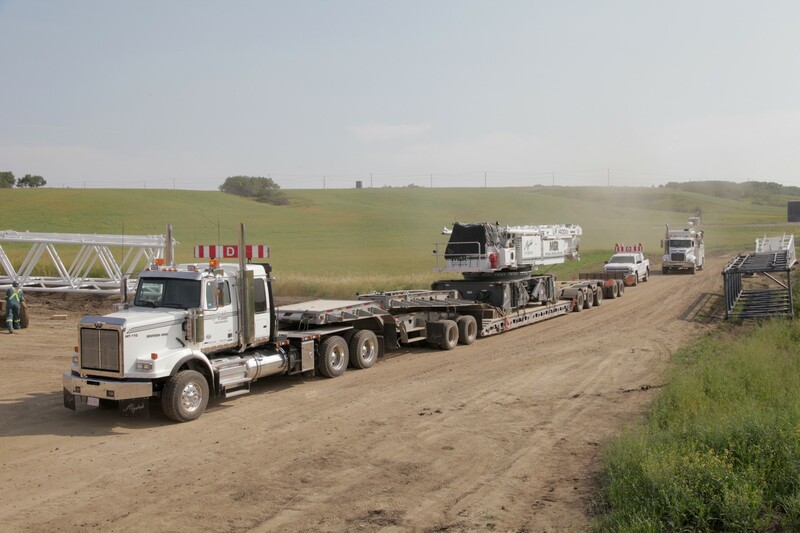 Myshak Crane & Rigging was requested to build 9 towers in 2 months time in southern Alberta. 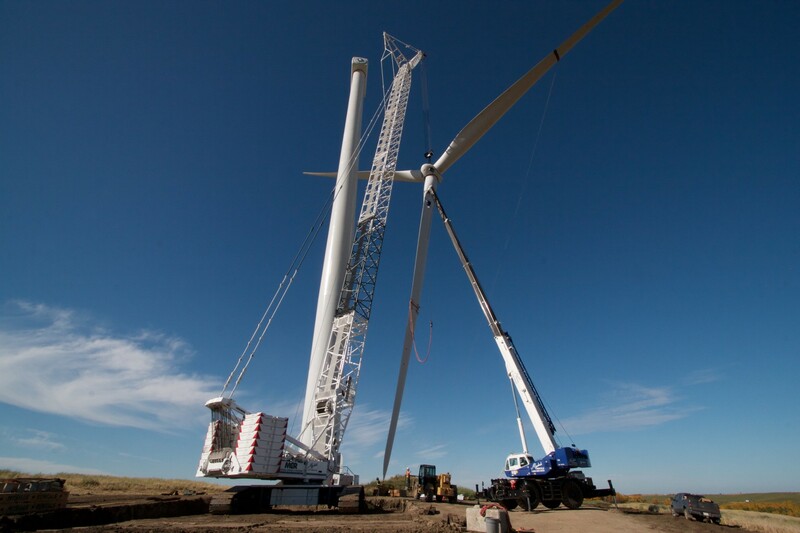 The challenge was the height of turbines being built and the weight of the wind turbine itself. 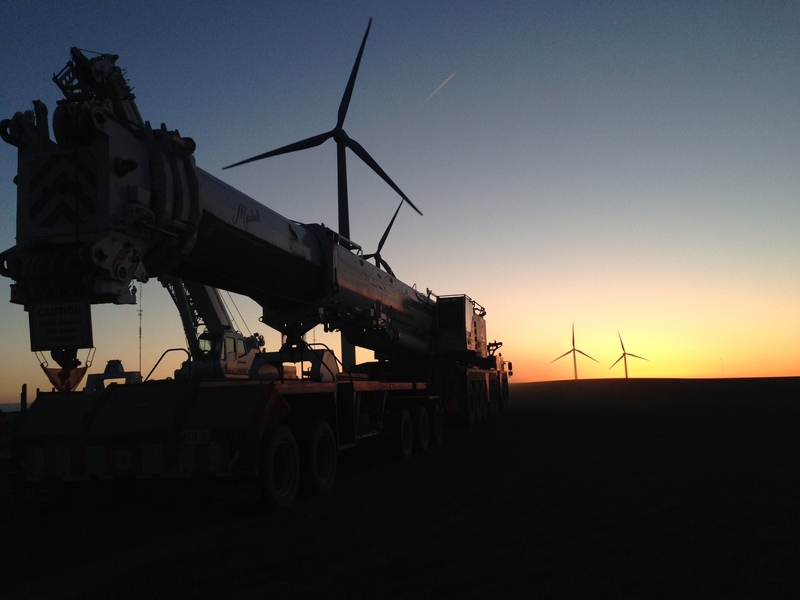 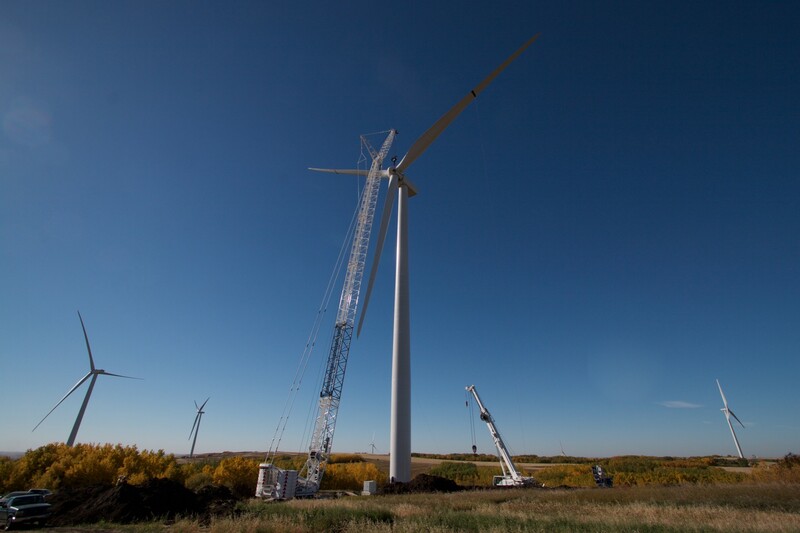 Lots of hills and wind speeds from 0-25mph made for a tough time to assemble the crane and an even shorter timeframe to lift the turbines into place. 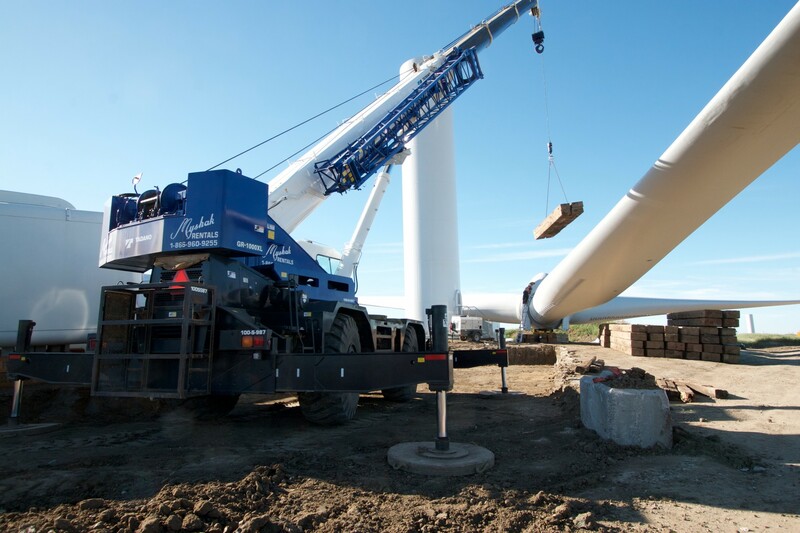 After the first two turbines we had to move the crane 4 times to complete the remainder of lifts. 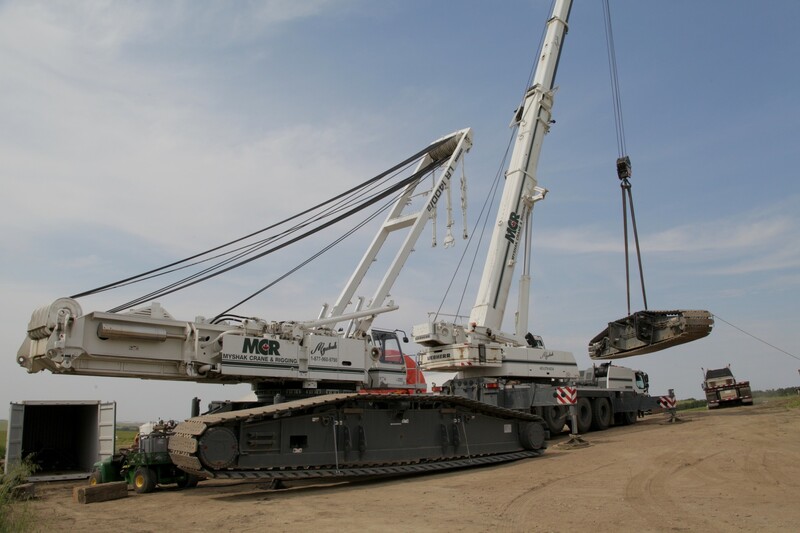 Services included in this project were Trucking to deliver crane parts took 13 loads with boom, counterweight and all rigging.